I love to travel! For me traveling is about getting the full experience at a hotel or destination without having to endure stress. 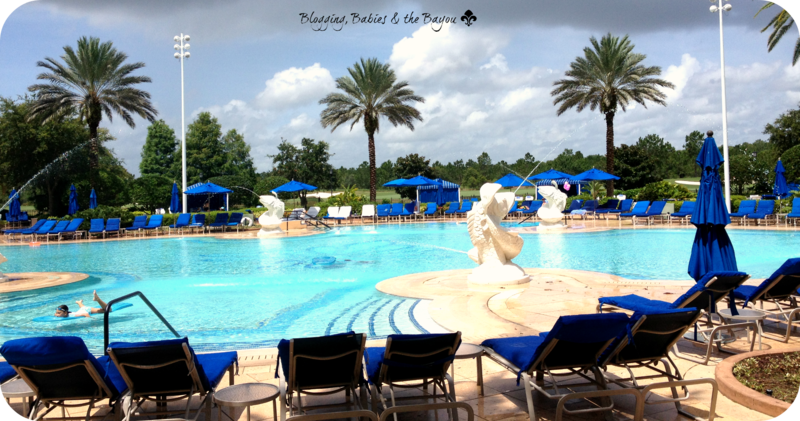 I recently had the opportunity to visit the The Ritz-Carlton Grande Lakes in Orlando, Florida. From the moment my stay was confirmed I instantly knew I would be in for a relaxing treat. The Ritz-Carlton Grande Lakes Orlando Florida is nestled on 500 acres at the headwaters of the Everglades. The luxurious resort offers world class amenities, a beautiful location and first class service that a guest will never forget. My family & I visited The Ritz-Carlton Grande Lakes the day before a major holiday (4th of July) & stayed for 5 nights. Planning my stay was easy because both the JW Mariott & The Ritz -Carlton Grande Lakes had a full line up of festivities that were offered to registered guests. Personally, I LOVE when a hotel offers holiday activities and amenities to keep a family busy! It can make any vacation so much easier to plan. When we arrived (and everyday after) we were always greeted with respect and kindness by the staff at The Ritz-Carlton Grande Lakes. Every staff member that we came in contact with during our stay, looked us in the eye and greeted us with a true, genuine smile. In addition, whether it was our valet attendants to the concierge, we were offered a bottle of water several times a day. For me, it is the small things that make me aware of the scope of service a hotel or destination has to offer. We had a spacious room during our stay at The Ritz-Carlton Grande Lakes. When traveling with children, space is very important! 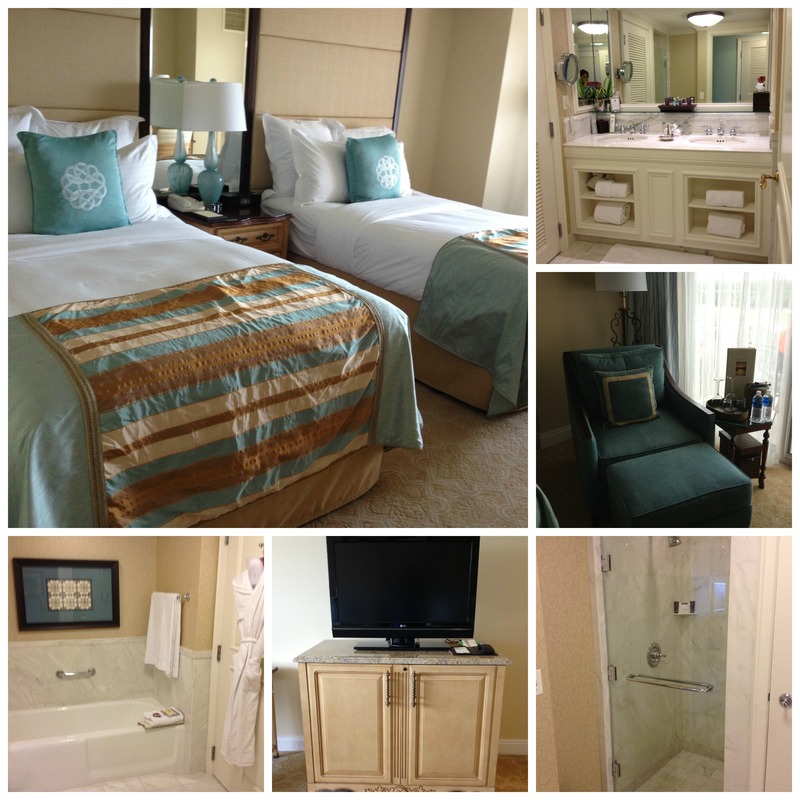 Our room gave us a sense of luxury & relaxation without being stuffy & stiff that some luxury hotels offers their guest. My favorite part of the hotel room: The Bathroom. I love the separate shower/bathtub stall!! The bathroom was quite large for a hotel room & always fully stocked during our stay. Pool, Spa services & incredible restaurants are only a small reason why guest return to The Ritz-Carlton Grande Lakes regularly. In addition to their fabulous pool, The Ritz-Carlton Grande Lakes offers a fantastic kid’s program called: Ritz Kidz. The Ritz Kids program allows parents to play while children stay with our trained and certified counselors. Each counselor is certified in infant, child and adult CPR, basic first aid and water safety (per their website). Luxury Travel isn’t just for adults! My kids enjoyed their stay at the Ritz. My almost 9 year old told me he “wanted to live at the Ritz”! I can’t blame the little guy!! The Ritz-Carlton Grande Lakes Orlando Florida offers guests a full array of amenities for their registered guests. Whether you are a golf lover, ready to indulge yourself to a spa or looking for outdoor fun like kayaking, eco-tours or fishing, The Ritz-Carlton Grande Lakes Orlando Florida can offer something for everyone. 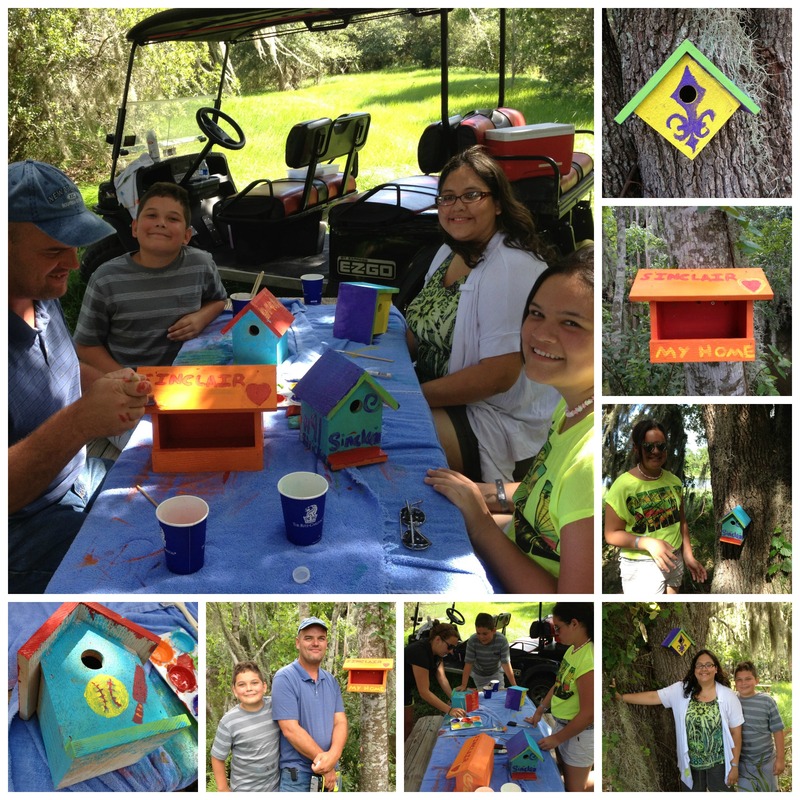 My family took part in a Bird Habitat activity offered at The Ritz-Carlton Grande Lakes. Our activity guide took us by golf cart to Shingle Creek (headwaters to the Everglades) where we sat on a picnic bench under a beautiful Cypress tree, overlooking a beautiful lake. It was a perfect backdrop to reconnect during our trip and focus on our family & task on hand. We spent the afternoon painting & personalizing birdhouses which we hung ourselves. Not only did we create something that nature will appreciate, but we can come back on our next stay and see what species of birds inhabited our creation while we were away. Our unique birdhouses will leave a lasting impression on our family as well as at The Ritz-Carlton Grande Lakes. 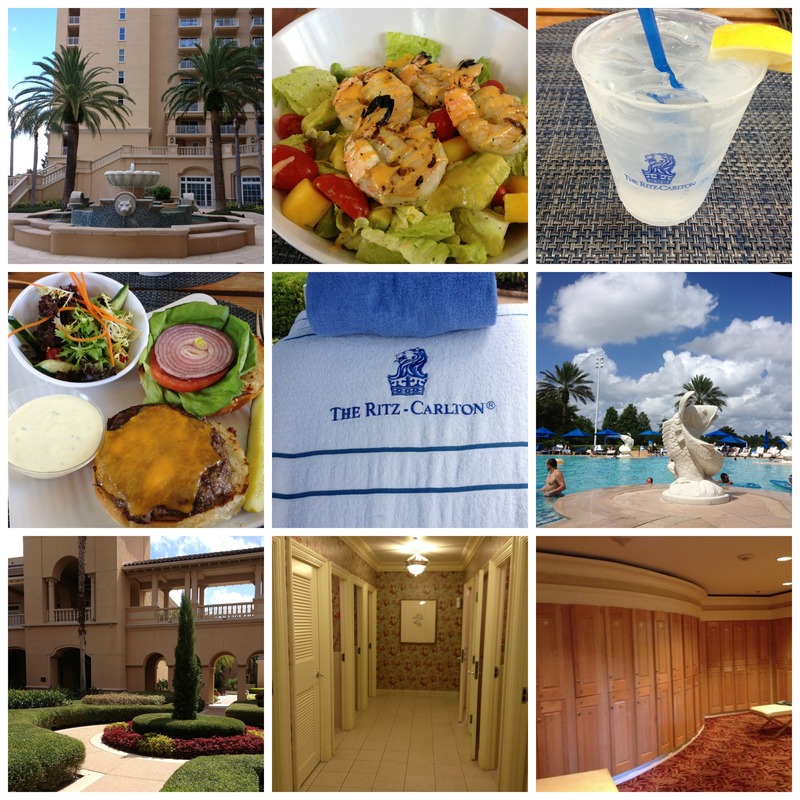 Stay tune for part 2 of my The Ritz-Carlton Grande Lakes Orlando Florida Series where I focus on Spa Services! Have you ever had a luxury vacation memory that still stands out? Beautiful pictures! That looks like an amazing place to stay. Wow, looks like your family had an amazing time! I cannot wait to hear about the spa services! i have never had any kind of luxury vacation, so no memories to share. Most of our vacations were beach stays with family or camping! How fun! Love the LSU-esque birdhouse! Love the colors they did the rooms in! And the food looks fabulous! We are in Georgia so Florida is definitely a convenient trip for us. I agree with your son. I want to live, on vacation, in Orlando! Your trip sounds amazing, I’m in need of a nice stress free trip myself! Love the pics! I love visiting Orlando but have never stayed here. I’ll definitely give it try! What a beautiful place to stay! 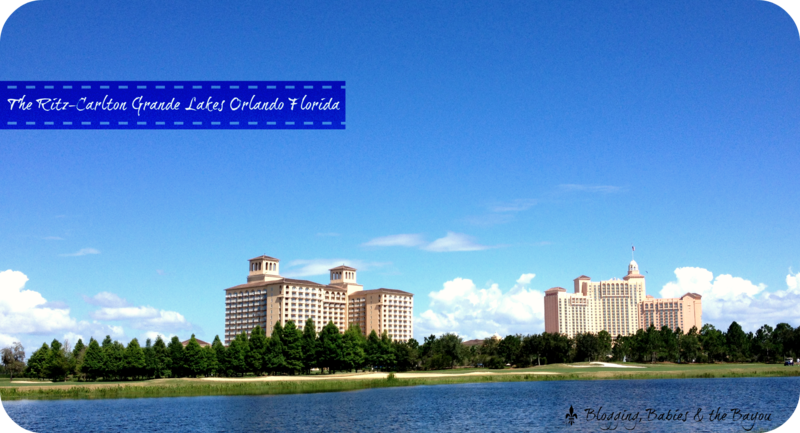 I love Orlando, so much fun stuff to do there! Looks like an awesome property, if I ever make it out to Florida I will have to check them out! I want to visit there now. Looks like a great hotel. Wow! That looks very nice. The rooms look very high-end and the pool is fabulous. I would love to stay there! Wow! What a pretty hotel. I will have to check it out next time I am in Florida. Great post! I would love to enjoy a stay at the Ritz Carlton, the rooms look so beautiful! Wow! This is a very nice place to stay, plus if offers so many amenities. Awesome photos! TweetShareLike this post? Please share! One word can describe this picture: Peaceful Picture taken at Mississippi’s Gulf Coast <a TweetShareLike this post? Please share!